Frameworth has brought together two of the greatest defenceman in Boston Bruins & NHL history together into one 16x20" photograph. 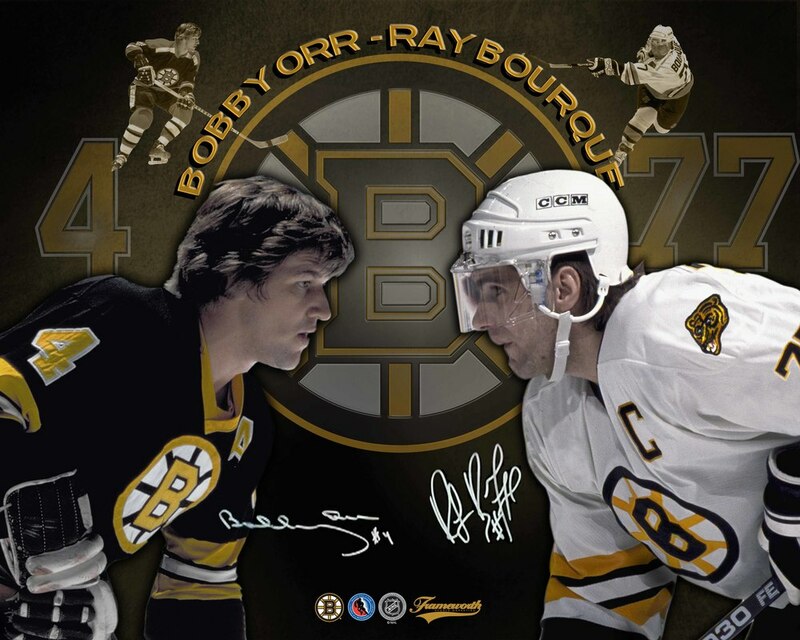 THe autographed image features Bobby Orr & Ray Bourque in their Boston black and yelllow along with their iconic jersey numbers and the Boston Bruins logo in the background. This image is only available through Frameworth Sports Marketing in association with the NHL & HHOF. A great gift and a unique addition to any home or office. A Certificate of Authenticity is included. Photo Size: 16x20"